Black Powder Coated Aluminum Frame - Stylish weather resistant finish. 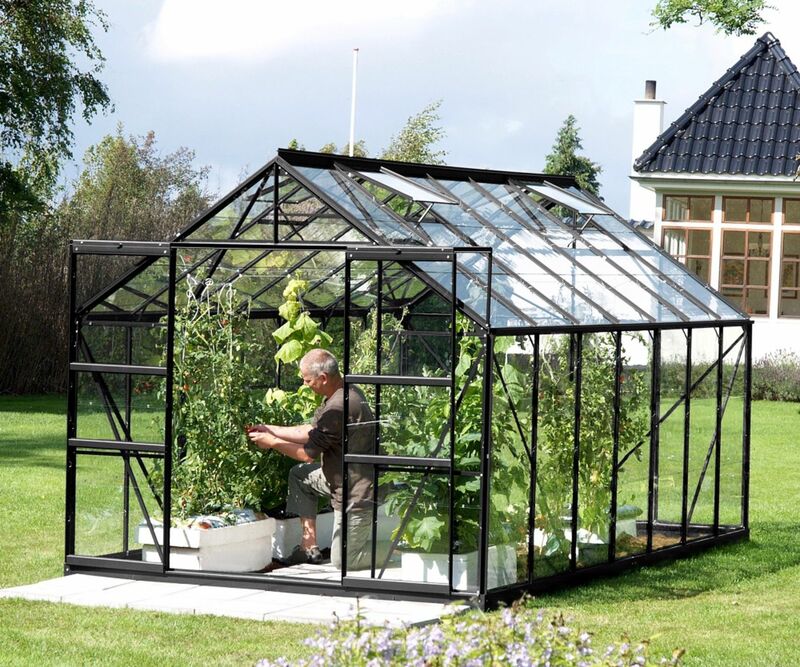 The 8x14 Black Vitavia Jupiter 11500 has high eaves and a great practical growing area with easy access through it’s double doors. 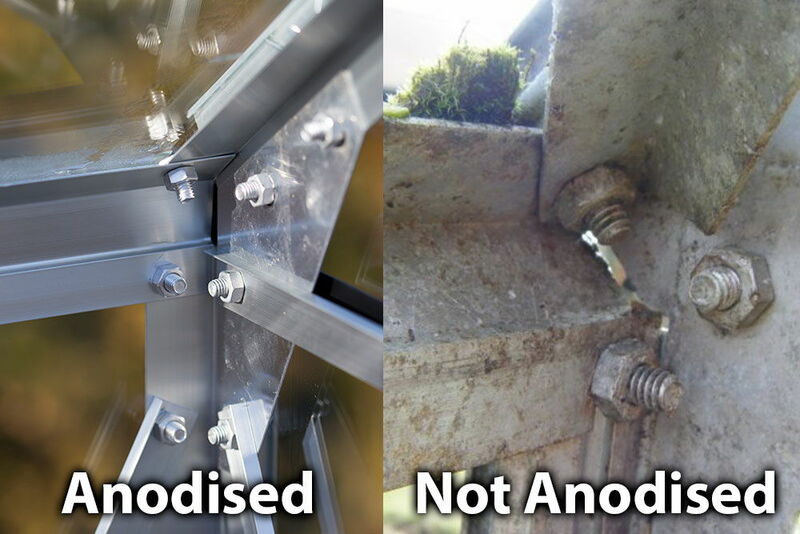 Add a Colour Matched steel greenhouse base for strength and stability. Ideal for placing straight onto slabs or concrete. Includes corner posts for soft ground installations.